29 May 2018 – Edinburgh - Causeway: Ireland Scotland Business Exchange has announced the shortlist for its awards ceremony taking place on 15th June 2018 at Glasgow City Chambers. The awards celebrate individuals and companies who have championed business relations between the two countries. They also recognize individuals and companies who have excelled in a particular area. Spanning sectors including banking, renewables, not-for-profit, creative, publishing, events and tourism, the award winners will be announced at a glittering ceremony hosted by Rt Hon The Lord Provost of Glasgow with Keith Brown MSP and Joe Mc Hugh, TD in attendance. 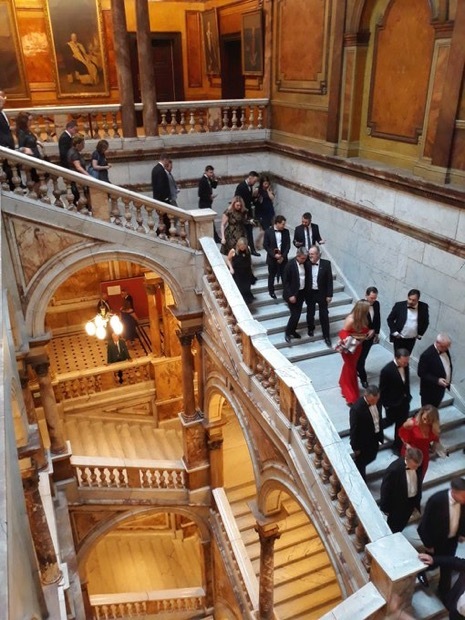 Sponsored by leading engineering consultancy, Jacobs, the awards follow on from the successful inaugural event which took place at the City Chambers, Edinburgh in June of last year. Supported by the Irish and Scottish Governments, Causeway was set up in 2016 to connect top level business people from Ireland (North & South) and Scotland. In less than two years, the not-for-profit organisation has held almost 50 events, attracting hundreds of attendees and responsible for significant business development opportunities for members. Causeway was established in January 2016 by a group of business people from Ireland and Scotland, who believe that enhancing communication and building relationships between individuals and organisations from both countries will add significant value to their business. Causeway provides a robust platform for businesses in both countries to connect and share opportunities and knowledge. The decision by British voters to leave the Single European Market further emphasised the need for a business exchange to help retain and further drive the strong cultural and economic connections between Ireland and Scotland. At Causeway, we pride ourselves on running effective, relevant and thought provoking events across industry sectors in both countries.